Lotus Esprit, Lotus Cars & Team Lotus, Formula 1, Britain's Industrial Heritage, Kayaking, Running, Mountaineering, Cycling, Engineering, Civil & Military Aviation, Ships, Royal Navy, British Railways, Model Engineering. Ah glad we've made contact again Trevor. It was great to drive with you that afternoon. When you were preparing to exit M11, I thought I'll follow you because it looks like you're heading for services, and we'd been going non stop for a few hours from Southsea, so I thought we could introduce ourselves properly. So I stayed behind you, but then my wife Karen said "He's winding down his window" (to speak to us), so I pulled-out right, in to the next lane and accelerated to get alongside you, to be able to hear you say and gesticulate "Report of an accident", but just at that moment, the lanes separated and we were stuck on the M11. Any boy, were we STUCK! Anyway, blame my wife for that one. No that's unfair, she was trying to help. Just unlucky. We looked out for you on Saturday but never saw you! Anyway, hope you had a great weekend; we did. It was really nice to travel with you. Great looking car by the way. Karen was quite taken with it. Was it a 2018 unusual green colour? We convoyed with a 2018 green GT430 Evora up the M11 towards A11 going to Lotus 70 Friday 28th Sep afternoon. Nice guy. Talked with each other when alongside. Reg LJ18... or LJ18.... He just had enough time to warn us of accident ahead, but we were by that time stuck on the M11. I reckon this is the same black Exige that we convoyed with on the M25 after Lotus 70. Heading anti-clock, he peeled off somewhere around M3. Number plate was EX11GGE. Nice guy, waved at each other whilst alongside. 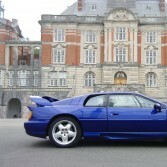 Ditto; ours is the blue Esprit right behind it! Hi Cliff & Caroline, Nice to see you at Caistor Hall last weekend, although I don't think we got the chance to speak? Would I be right (by deduction of everyone else accounted for) that you're the younger couple who were with John & Wendy at breakfast on Sunday? Not us you’ve got us muddled with some else . Oh yes, we parked next to you when we arrived on Friday evening! Hi Christopher, It was nice to meet you lat Caistor Hall last weekend. Very interesting to hear about your Lotus memorabilia and your memories of the Hethel site. Hi Henry, It was nice to see you at Caistor Hall last weekend. Don't think we had the chance to talk much, but hopefully perhaps another time. 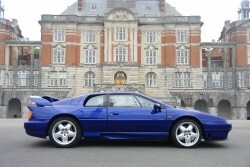 Would really like to hear about owning a very early Esprit. Hi Marc, It was good to meet you and your friend at Caistor Hall last weekend. Hope you got back to Devon okay. Yes dropped Mike back off in Kent and got back safely with no issues ( I always consider it a good trip if nothing goes wrong), it was a bit of a slog towards the end but managed it without having to stop. Hope you had an uneventful trip as well. It was nice to meet you both to and hopefully we can meet up again at some future event. Photos won't load on to this platform/site, despite them only being 5MB each, one at a time, what's your email and I'll send them that way. Hi John and Wendy. It was nice to meet you both at Caistor Hall last weekend. Hope you got back up to Scotland okay. Hi Nick, it was indeed a pleasure. We eventually got home just after midnight following more hickups with the M100, it eventually went home via the AA , we used our membership to get it home as the owners didn't have it covered, and we took the owners back to Edinburgh. So all in all, LotusRescue had a busy weekend. Repaired three broken cars, repatriated one couple. Not too bad for having a weekend off. Lets just hope it's not another 10 years for the next one. Yes, I know what you mean. After a fantastic weekend, we all "want to be back next year". I would worry about 'Show Fatigue' if it were every year. I think also organisers would struggle to stage it every year. Could you get Classic Team Lotus, Lotus Bits, a full turn-out of Lotus owners, every year, year on year? 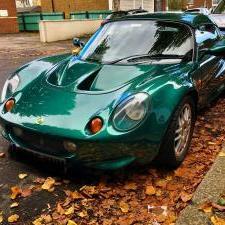 Could Lotus Cars afford it? This year, there was no International Lotus Day, and also Lotus 70 incorporated this year's Lotus Festival, so absolutely no excuse whatsoever not to come. But whenever Lotus 7x is ever held again I think it needs again to incorporate that year's Lotus Festival and it may (again controversially) be worth considering skipping the International Lotus Day in that particular year (and by the way I LOVE the ILD. It's close to me and we stay over making a weekend of it, so it's an annual highlight for me, and we did miss it not being on this year.) I'm making the point that we need to maximise attendance at whatever Lotus show is on at any one time. Farnborough and Biggin Hill alternate their show years, as likewise does Farnborough and Paris. Otherwise you will always have lower attendance at each as some people will never attend both, but will make a choice. Perhaps have a bi-annual Lotus Festival at Brands Hatch or Hethel for special years, and ILD on odd years at Brooklands (although that would bugger-up the 75th at Hethel!). Over to you, Bibs! Ah, it was YOUR number plate. Spent every lap trying best to avoid it! It was on the far straight directly opposite the grandstand (if that's any help). The foreign Lotuses at Duxford may have belonged to the three Belgians we hooked-up with on Sunday morning, by accident, at Ketteringham Hall. After we parted later that afternoon, they were headed there. An Elise owned by a Lotus Dealership owner and another Elise owned by his two friends.